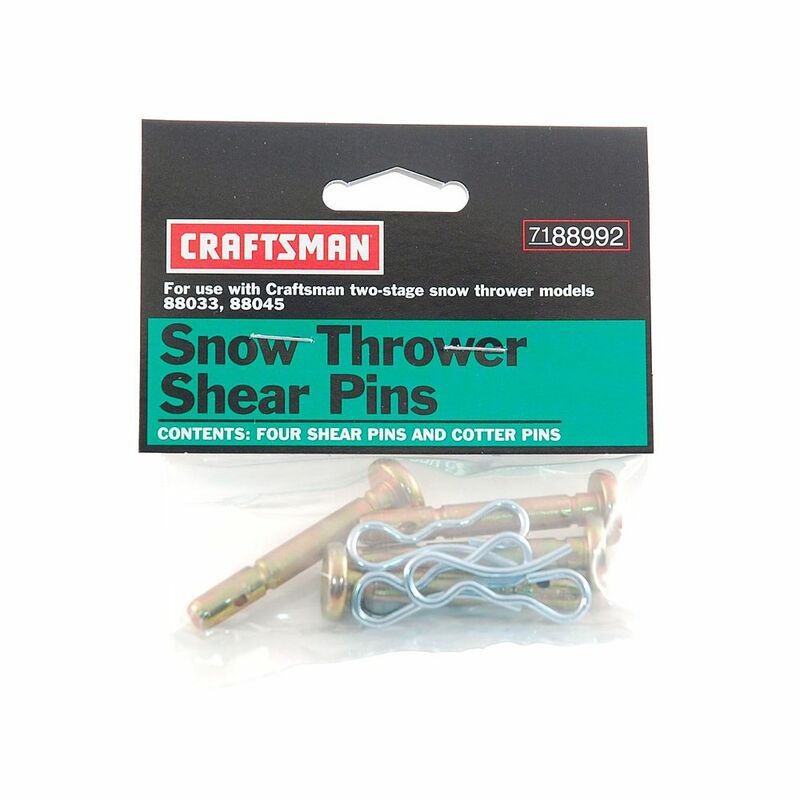 Shear Pins For Snow Blowers: Agri-Fab, Craftsman, Cub Cadet, Troy-Bilt, Yard Machines, Yard-Man, MTD, Husqvarna, Mcculloch, Poulan Pro, Brute, Murray, Simplicity, Snapper, Briggs & Stratton, Ariens Compact, Ariens Deluxe, Ariens Platinum and Ariens Professional. You must have extra shear pins at your home for your snow blower. Order them now! Shear pins are designed to break and they do. Get an extra set and tape it right to the handlebar of your snow thrower. I am not going to list the shear pins for the Chinese Snow Blowers. I have not found any of them available online. You will have to order from the manufacturer. Removing and Replacing Shear Pins: Yes, you can do it! Shear pins are designed to fail before your snowblower’s auger or gears if you hit a rock, chunk of ice, or another object while clearing snow. When this happens, you will have to replace your broken shear pin. Most of the time when a shear pin breaks the two ends will break off and the rest of it will stay in the auger. You will have to rotate the auger until you find it and then push it out. Once in a while, it will shear so that you just can’t push it out with the new one. In that case, you need a pin punch. The pin punch has a flat end so you can drive the broken shear pin out without the pin sticking in the hole. (Don’t use a punch with a point. That can flare the end of the broken pin and then make it impossible to get out.) I’m not going to show you how. Watch both of these videos if you need more training. For Craftsman Tractor Mounted Snow Thrower Models that start with 486. Also for other Snow Throwers made for the brand by AgriFab. BERCO snow blowers use a different shear bolt and you will have to get them from your servicing dealer. Auger shear pins with clips for most MTD late model Snowthrowers. Original equipment replacement. 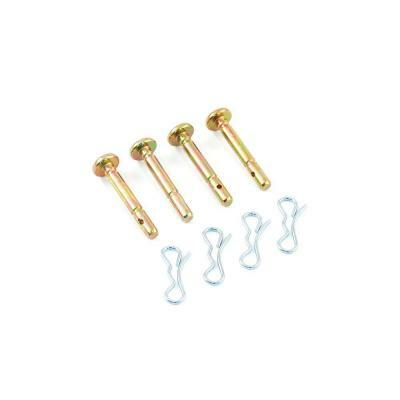 Package contains: 4 of 1/4″ x 1 1/2″ shear pins & 4 of bow tie cotter pins. Fits all late model 2 stage Snowthrowers with 3/4″ auger shaft and stamped steel augers. These MTD Genuine Factory Parts Shear Pins for 300/500/600-Series 2-Stage Snow Blowers (4-Pack) help protect a snow thrower from damage when the impeller comes in contact with a solid object. 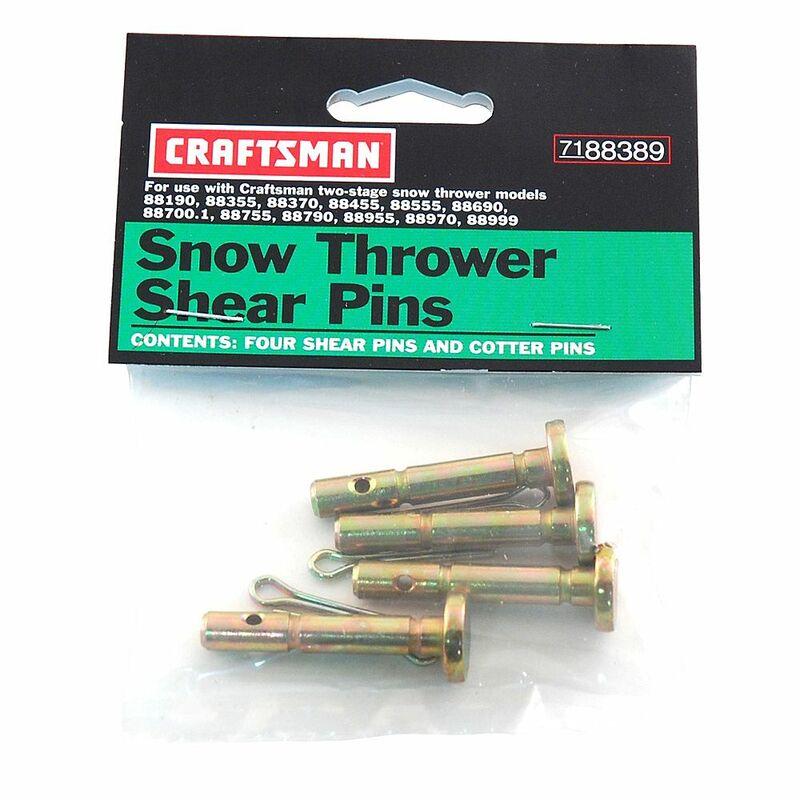 These replacement pins fit MTD 300/500/600-series 2-stage snow blowers made in and after 2005. 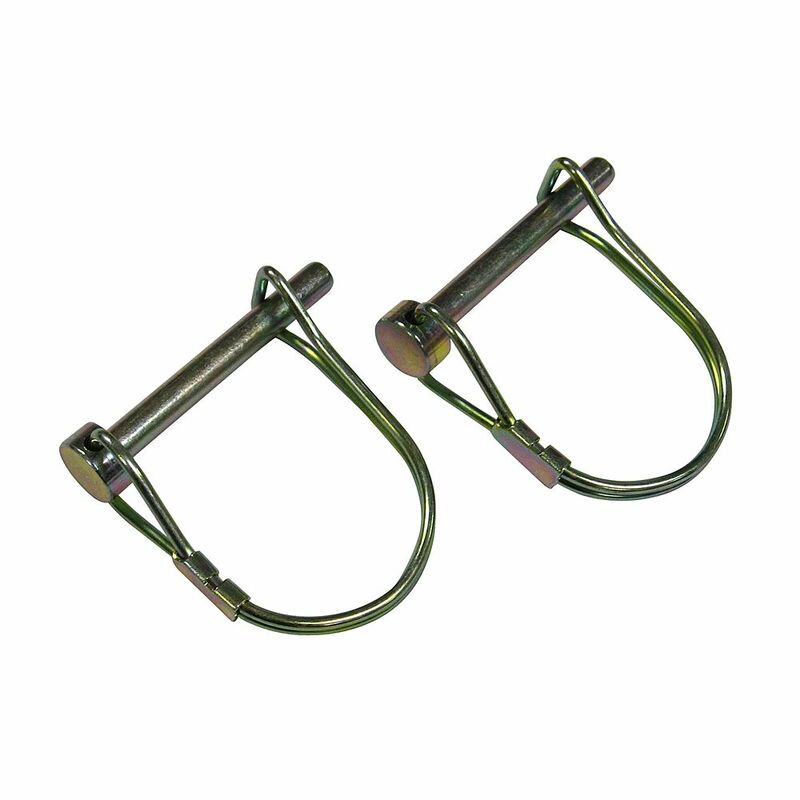 Auger shear pins with clips for all MTD large frame late model Snowthrowers. Original equipment replacement. 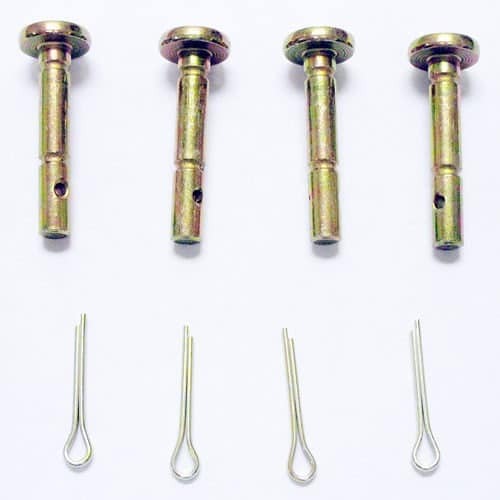 Package contains: 4 of 1/4″ x 1 3/4″ shear pins & 4 of bow tie cotter pins. Fits all late model 2 stage Snowthrowers with 1″ auger shaft and stamped steel augers. The MTD Genuine Factory Parts 1/4 in. x 1-3/4 in. Shear Pins for MTD 900 Series 2-Stage Snow Blowers (4-Pack) will help prevent damage when the impeller comes in contact with solid objects. Old Craftsman models starting with 536. AYP Husqvarna. 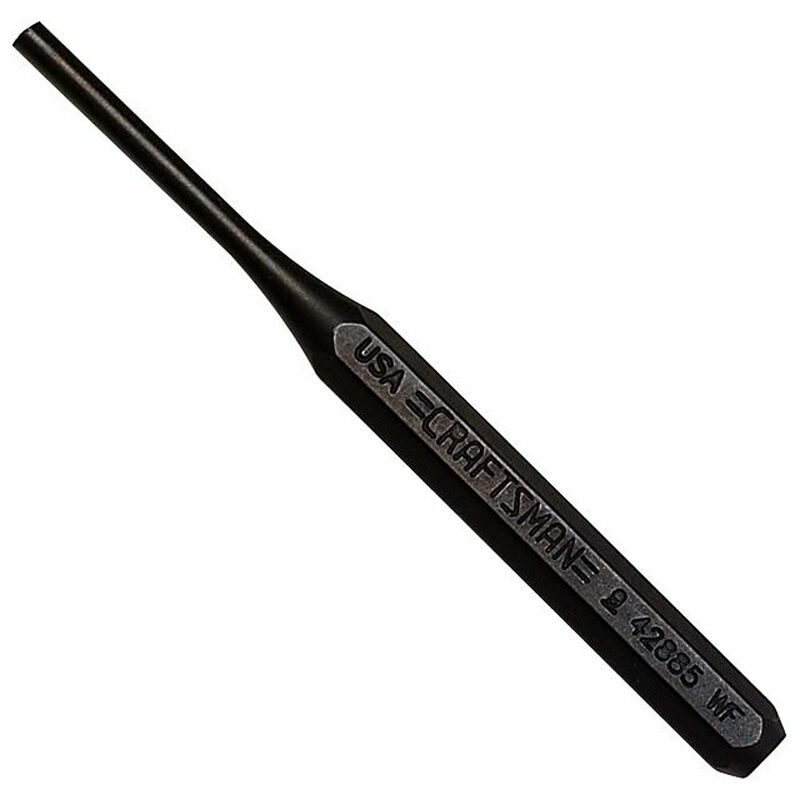 Craftsman 88618. 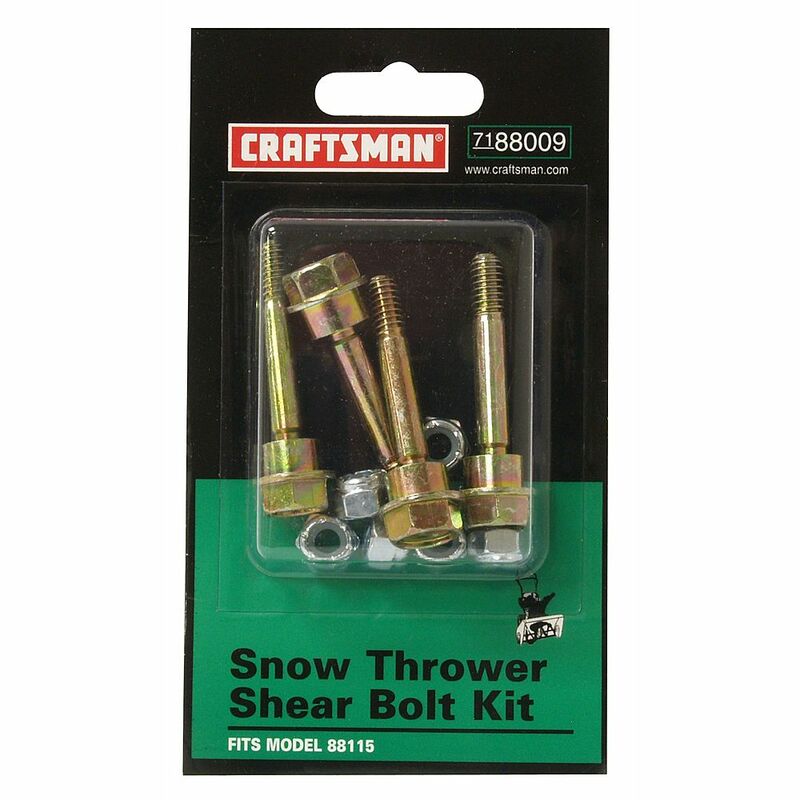 Designed to resist stress and protect the gear box, the Craftsman Snowblower Shear Bolt Kit helps keep it safe from debris which can jam or slog the snow blower. 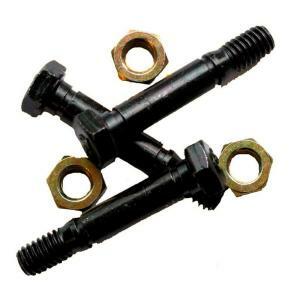 These bolts shear when faced with a severe impact caused by debris like a large rock or a block of ice and ensure the smooth functioning of your snow blower. Bring home this handy kit to prevent stress damage from reaching the gear box your snow tool. Temporary Shear Pins for just about all snow blowers. 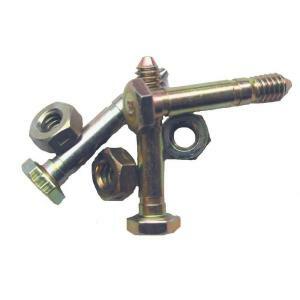 Choosing genuine replacement parts like the Briggs & Stratton Snowblower Shear Bolts will extend the engine life and improve the performance of your snowblower. 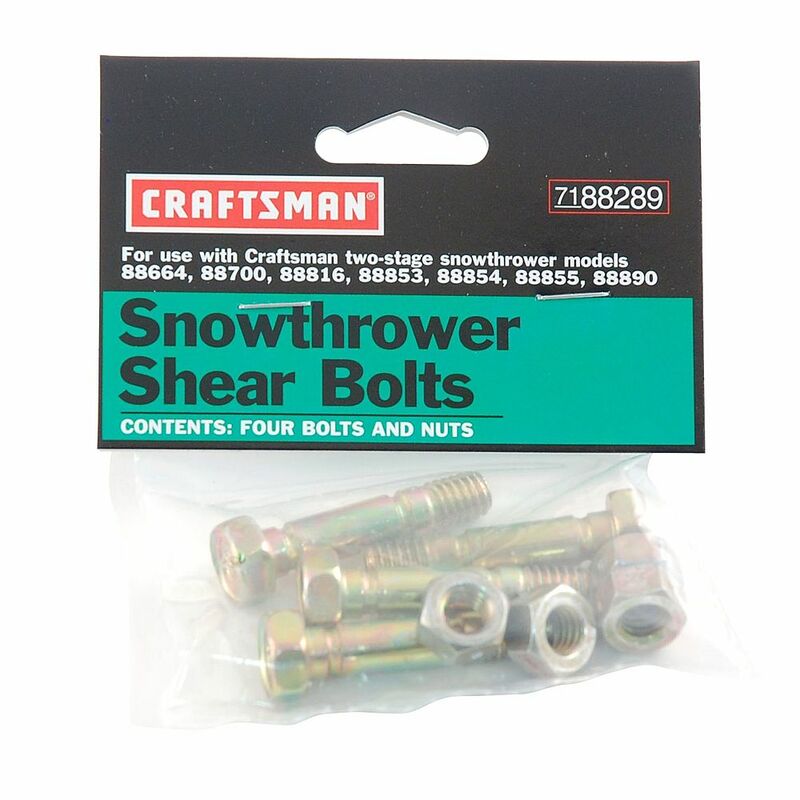 Shear bolts are designed to act as a buffer when your snowblower runs into harmful debris which could in turn potentially damage the engine. Gear box and engine are safe from stress load as these shear bolts break when faced with a sudden and severe impact caused by debris. The Ariens Shear Bolts Kit is designed with detailed specifications to fit our Sno-Thro units. These material, process and dimensional specifications ensure high uniformity and accuracy so the shear bolts rupture at the designed load limits every time. Toro. Current model Toro 2-stage snow blowers do not use shear pins.